The term “Akashic Library” is now commonplace in New Age jargon, made popular through efforts of the Theosophical Society. Even famed mystic, Edgar Cayce, said that he received much of his knowledge (especially concerning Atlantis) from the Akashic Library, which he accessed frequently via trance-meditation and astral work. The idea of a “library” building is a projected illusion manifest by increased attention that the Akashic Records were gaining. To be useful, the mind had to solidify the abstract in a way that a rational logic-driven linear psyche could comprehend: books. Careful analysis of the Secret Lives of Elves and Faeries will reveal that Robert Kirk actually encountered the Akashic Records during his travels in the Otherworld. According to his account, on a request to see books, a library manifests. But it is a building that is not a building, sculpted as if from one piece of stone without signs of labor. The building is also not location-specific, manifesting from will and intention (as Kirk discovers is the case for all journeys into the Otherworld or Astral Plane). He describes the sky and grass surrounding the library as vividly surreal. The books he finds have glowing words and images that constantly change. The Elves call these “Books of Light” where the “bright things” are recorded. Edgar Cayce called the Akashic Records the “Universal Living Memory of Nature.” Given mainstream denouncement of the aether, what mystics call Akasha, this idea became difficult for 20th Century minds to understand. More recent efforts toward realization of the Universal Living Memory Theory and interdimensional vibration of superstrings will eventually push these ideas into contemporary mainstream. Resonance of events on the Earth Planet spreads to far corners of the entangled Universe. This is the most basic tenet of practical magick, whether via prayer or more formalized ceremonial magick, a wizard’s conscious awareness of this energetic exchange allows acceleration of these energies to manifest based on intention and focus (which moves energy as much as actions). As with all astral constructs, the ability to access the Akashic Library is simply one of will and intention during astral projection. Information held within the records is found by the same method. Will yourself to the library. Keep the information that you seek firmly in your mind as you reach for and open a book. It really doesn’t matter what book you select, they are all mental constructs (thought-forms). You must discern the information from the shifting words, symbols, glyphs and images. If things are moving too fast, will them to slow. If you find something interesting or worthy of further inspection you can transplant your consciousness temporarily “into” the records to experience them firsthand. There are no psychical dangers and you have nothing to lose by your attempts to access the Akashic Records. You may actually surprise yourself by your ability to do so! For more advice regarding aspects of this article, refer to “Arcanum: The Great Magical Arcanum” by Joshua Free, now in 10th Anniversary Edition available for the most economical price in a decade!!! The legacy surrounding the modern “Mardukite” movement has now reached epic proportions, surpassing any original “mortal” expectations from those involved at its inception. I knew better and held high prophetic aspirations toward my efforts brought to the public nearly a decade ago with the underground release of the first two ‘Mardukite Truth Seeker Press‘ publications – “Arcanum” (Liber A) and “Book of Elven-Faerie” (Liber D) on the 2008 Summer Solstice. The whole research organization, underground network, magical order and permanent establishment of the “New Babylon Desert Preserve” in southern Colorado all exploded out of these two books. the archival library, the fourth and final of these cycles (Year-4) is collected in the anthological tome: HISTORY OF THE NECRONOMICON. Although all three books composing HISTORY OF THE NECRONOMICON are stand-alone titles, they represent three keys to uncovering the final mystery, the ultimate “secrets” of the “Necronomicon,” meaning those very powers and forces that have been interacting with kings, priests, mystics, poets, magicians and occultists for thousands of years, since the dawn of ancient Mesopotamia and the birth of the Sumerian and Babylonian cultures – though we could say the birthplace of human civilization as we know it today and its systems. To fully make use of any magics and to base reality on any beliefs, the cycle must be closed with relevant answers – and the Mardukite HISTORY OF THE NECRONOMICON provides these. Since the original release of the HISTORY OF THE NECRONOMICON anthology in 2012, stand-alone titles of the material have since seen updated editions, including the Fifth Anniversary publication of “Enochian Magic & Kabbalah” (Liber K) and “Crossing to the Abyss” (Liber 555). Materials for Liber-555 also appeared as “Stargate to the Abyss” and “Necronomicon for Beginners” simultaneously in 2012. All of this, in addition to the critical reflective narrative adapted from “Nabu Speaks!” (Liber 12) is revealed within HISTORY OF THE NECRONOMICON. Whether you happen upon “History of the Necronomicon” as your introduction to the Mardukite paradigm or have been long-awaiting to complete your archival library with the final revisions of the Mardukite Core, this anthology is sure to change the way you see history, life, the Universe …and most importantly, your Self. A superior collection of controversial underground materials relaying an amazing synthesis of the secret evolution of Anunnaki traditions — both ancient and modern. 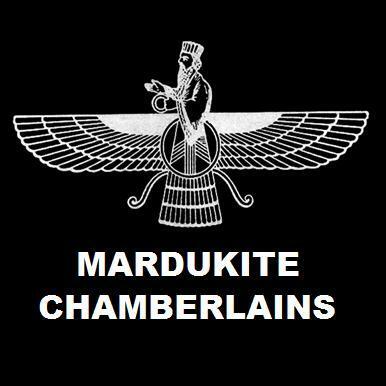 The new second edition of the complete Mardukite Year-4 (2012) Anthology revised in honor of the Mardukite 9th Anniversary and produced in serial with the annual anthologies of the Mardukite Core: Year-1 “Necronomicon Anunnaki Bible” (2009), Year-2 “Gates of the Necronomicon” (2010) and Year-3 “Necronomicon Grimoire” (2011). 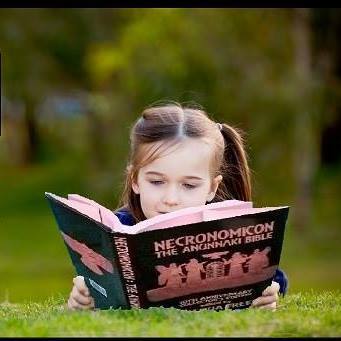 Joshua Free’s underground classic “History of the Necronomicon” includes all materials from “Enochian Magic & The Kabbalah” (Liber-K), “Stargate to the Abyss” (Liber 555) and “Nabu Speaks: Of Babylon & Egypt” (Liber-12A).